Producing multiple models for a single product line is common among major phone makers. The Galaxy S6, which is the latest Samsung phone currently on sale, has three different models: the S6, the S6 Edge and the S6 Edge+. The Galaxy S7’s NZ price is estimated to $950 as reported in a previous post. The price for the Galaxy S7 Edge model is still unknown. It’s still unclear when the S7 will be released in New Zealand. 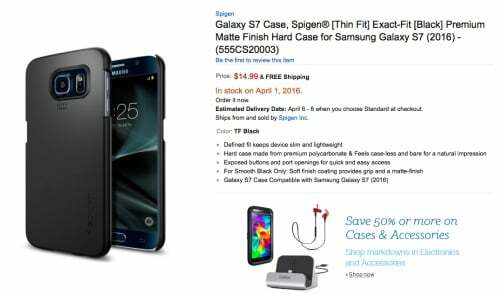 The Sigen cases are available for sale from the first of April on Amazon, so the release date will be earlier than April, at least in overseas markets. New models are typically introduced in New Zealand a few weeks after the first overseas release, so Kiwis need a bit of patience.